Use the information below to help guide your observations as you identify which species of viburnum you have. 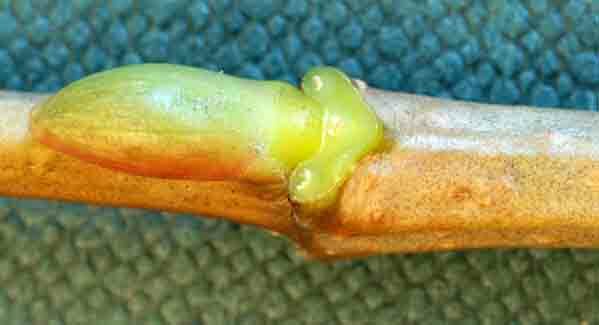 Most viburnums have teeth along the margin. Place the leaf margin over the middle of a dime. Count the number of teeth within this span. Many viburnums have pubescence (hairs) on the underside of the leaf. Others are glabrous (smooth) on the underside. 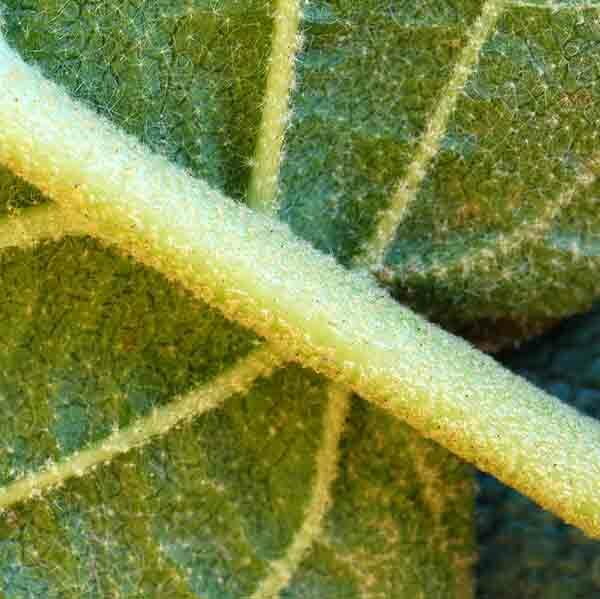 Some have hairs only along the veins while the rest of the leaf is smooth. Still more have small brown or black dots. Here are two ways to determine pubescence. Dots on underside of leaf. Firmly press cellophane tape over the surface of the leaf that you want to check for pubescence. Lay tape over black paper. Observe with a hand lens to see if tiny hairs are present on tape surface (right). Some of the observations you need to make in this guide will be much easier if you use magnification. A hand lens or magnifying typically provides 5x (times) or 10x magnification. They can often be purchased in drug stores. A loop or dissecting scope provide higher magnification, usually 20x to 30x. Camera stores often have inexpensive loops. Check with a local biology teacher to see if you can borrow a dissecting scope. If none of these are available you can use a pair of binoculars with removable lenses. The front lens, when unscrewed from the housing, can be used as a hand lens. Be sure to get permission from parents or the owner of the binoculars before you take them apart.